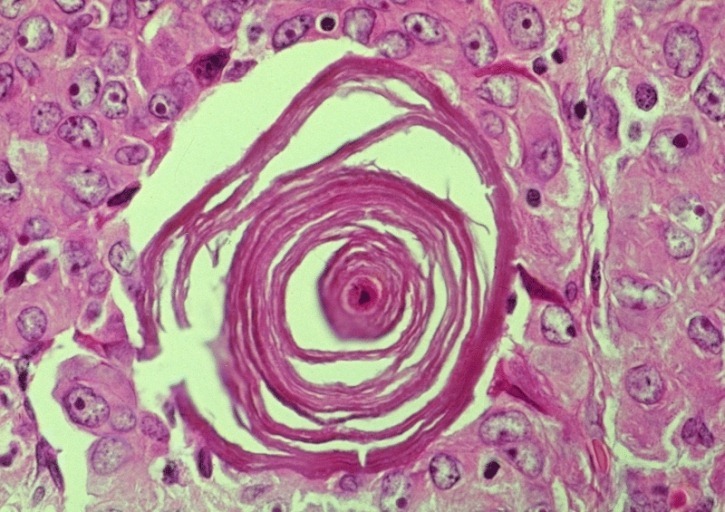 One of the classic histopathological signs that we read of in Pathology quite often is the Orphan Annie Eye nucleus seen in Papillary carcinoma of the thyroid. This odd name has an interesting history behind it. One that dates back to two popcult references – one at the fag end of the 1800s and one that started slightly later, in 1924. 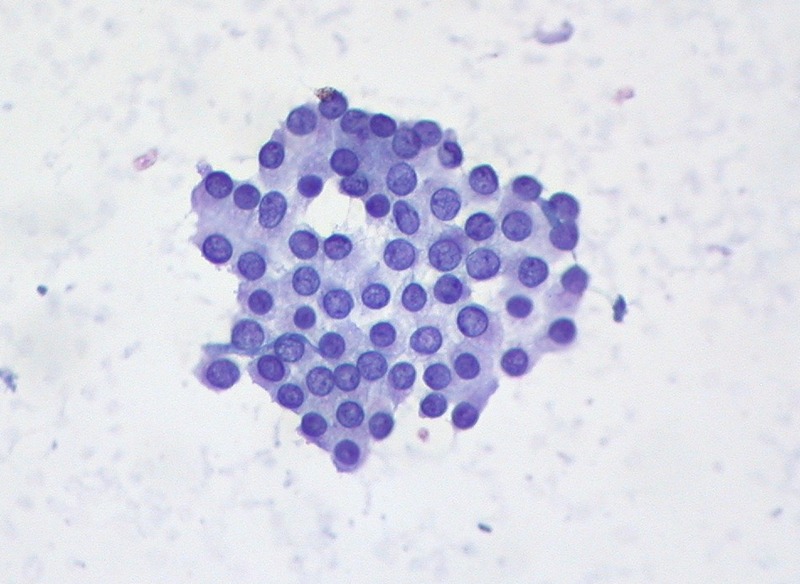 Papillary Carcinoma of the Thyroid, Fine Needle Aspirate, Pap Stain. Image Credit: Dr. Ed Uthman via his Flickr stream. Follow him on Twitter. The typical description of the nuclei of these cells are quite a match for the empty eyes of a popular comic character called Orphan Annie. Harold Gray created the Little Orphan Annie daily strip. It debuted in 1924 and climbed to rank number one on a poll by Fortune in 1937. Gray ran the strip till his death in 1968, but the strip still kept running thereafter. 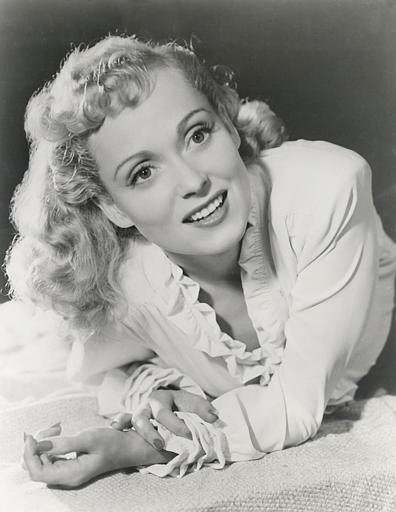 Unfortunately, the popularity of the strip kept waning after the death of its creator, Gray. And finally it was cancelled on June 13, 2010 when it was running in only 20 newspapers. The other cultural connotation associated with this name is a little indirect. Basically, the name of the Orphan Annie of the comic strip is taken from james Whitcombe Riley’s poem “Little Orphant Annie” (originally titled The Elf Child, the poet changed the name of the poem in its third reprint) which was published in 1885. A lyrical ditty base on Mary Alice Smith, an orphan who lived in Riley’s home during his childhood, this is a four stanza poem in which Annie tells the household kids stories about being good or else face the wrath of the goblins. This poem is a brilliantly rhythmic one, made to be read out loud, and in rhythm. Here is Charles Edward reading the 1885 poem “Little Orphant Annie” by James Whitcomb Riley (audio via Wikimedia). 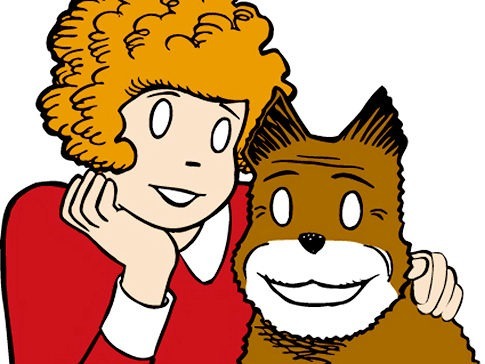 What has made the name more significant is the fact that in the comic strips, little orphan Annie had a pet dog called Sandy. Another histopathological sign of papillary carcinoma of the thyroid are Psammoma bodies. Psammoma bodies are whorled collection of calcium that builds up within certain neoplasms. The presence of Psammoma bodies is one of the points of distinction between follicular and papillar carcinoma of the thyroid gland. Now the word Psammoma is derived from the Greek word psammos which means SAND, which is almost similar to the name of Annie’s accompanying dog. Coincidence? probably not! One has to praise the ingenuity and the imagination of Dr. Warner for coming up with such an apt name for the nearly diagnostic sign which has indeed stuck on in pathology! 5. Hapke MR, Dehner LP. The optically clear nucleus. A reliable sign of papillary carcinoma of the thyroid? Am J Surg Pathol. 1979 Feb;3(1):31-8. PubMed PMID: 534382. 6. Dominguez-Malagon HR, Szymanski-Gomez JJ, Gaytan-Garcia SR. Optically clear and vacuolated nuclei. Two useful signs for the transoperative diagnosis of papillary carcinoma of the thyroid. Cancer. 1988 Jul 1;62(1):105-8. PubMed PMID: 3289724. Tags: History of Medicine, MedBlogging, Pathology, PopCult, postaday. Bookmark the permalink. Nice..Wish this had come before my surgery long question about papillary carcinoma.